Click & Collect information can be found on this page. We cover from Mandurah to Quinns Rocks and as far-east as Northam, WA. We cover from Harvey to Margaret River and as far-east as Collie, WA. 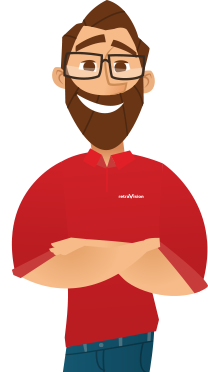 What happens when the goods are to be delivered using Retravision's own Truck and Driver? We contact you within the next business day to arrange a suitable delivery date. We notify you 1 hour before commencing the delivery via SMS, or phone if a mobile isn’t provided. We deliver your purchase to a designated valid delivery address within the specified delivery area. We unpack your product on request and take away any resulting rubbish. We locate your product and connect it to a desired location within your property (excluding dishwashers, see "Additional Services"), providing it is on the ground floor and there is no physical modification, cabinet work, plumbing work, electrical work or work that requires certification/licensing. Additional Services (Charges Apply) - Please mention the requirement in the checkout notes. What happens when the goods are to be delivered using our preferred courier service? We pick and pack your goods ready for shipping within one business day. *If you are located in a country or rural area, the courier may only deliver to your local Post Office. What isn't included in our local delivery service? Delivery to areas outside of the specified Delivery locations. Free Delivery of items purchased at a physical store location. Locating bulky goods to any other level other than the ground floor. Bulky goods are considered goods which require equipment to move it such as a trolley. Removal and/or disposal of your old appliance. Installation of any appliance which requires cabinet work to install. Re-Delivery attempts where the first delivery was considered a failed delivery attempt. We can deliver goods to certain areas just outside of our WA Metro & South West areas for a small additional fee. If your postcode falls into this category you will be presented with the option to purchase this service over a Retravision Online Preferred Courier. The delivery services in these areas are not daily and they can fill up quickly. A representative will be in contact within the next business day to arrange scheduling of your delivery. Delivery normally can be achieved within 5 business days, often sooner. What time of the day could my delivery arrive? Our delivery service operates Monday to Friday from 8am through to as late as 7pm. 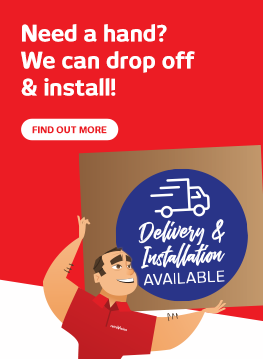 In order to optimise our delivery process and service all of our customers, we are unable to provide you with a specific time of the day for your delivery. For deliveries made by our own trucks and drivers; we guarantee to contact you and schedule delivery of your item within the next business day. Actual delivery times can vary depending on our delivery schedules. For deliveries made by our preferred courier; we guarantee to ship on the next business day. Shipping times will vary depending on your location, size and weight of the item(s). We attempt to provide you with dimensions on our catalogue. If you are unsure if a product will fit through your door or in the place you want to put it then please check your measurements against the dimensions we supply. If the product doesn’t fit then we will return your product and refund you in full providing that the product is not damaged and its packaging is still intact. A restocking fee of 15% may apply if the packaging is not intact. The original customer with valid photo identification (or that persons representative) must be present at the delivery address at time of delivery otherwise the delivery will be considered a failed attempt and you will need to arrange to re-schedule the delivery (charges apply) or pick the items up at the original dispatch location. Please phone or e-mail customer service 48hrs before your scheduled delivery date. The contact details are provided on your invoice/receipt. How much does re-delivery cost? Re-delivery charges are dependent on the type of delivery service that you selected at the time of sale. Extended Delivery Service (Our Trucks): The same rate you were charged for the original delivery attempt (amount varies). Preferred Courier Service: The cheapest available Preferred Courier option (amount varies). If you wish to return your product due to a failed delivery, we will happily refund you the amount of the product minus a $45 or 15% restocking fee (whichever is less).